After having read a score of books on Anna Boleyn's rise and fall, this one seems to be the most thorough and balanced. Going through every aspect of Anne's fall, from the very real political machinations to the spectral appearances post mortem, Weir leaves no stone unturned. Disclosing the reasoning behind Anne's vilification and later sympathetic romantic legacy, this book ambitiously weaves through the impact of her life in a balanced way. If you love details, historical political intrigue, the stories behind events, or just want a good idea of what really happened- this is likely the best you can do. 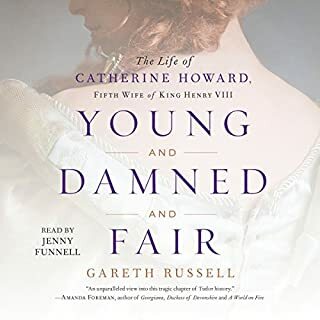 However, if you are hankering after a historical romance, a novelized version that puts you into Anne's daily life, then this may be a little too dry for you. It's not The Other Boleyn Girl, it's just the facts. I have no doubt that the author is an expert in this topic and that she meticulously researched all available documentation. However, I seemed to lose track of the players. Not those integral to the plot but there were so many peripheral cousins, aunts, uncles, etc. I had a terrible time keeping track of who was on the Boleyn side and who colluded to have her accused of the ridiculous charges. 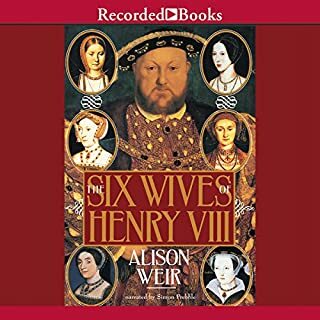 Since I was a little girl I have known about Henry the VIII and his string of wives. I saw the movie "The Other Boleyn Girl" and found myself wanting to know the real story rather than Hollywood's version. I did enjoy much of the book once the scheming started but the first part was difficult to stick with as I really could care less who the entire court were and how they fit in. I felt like I was back in History class listening to names and dates of people and things I care nothing about. However, once the plot moved forward to the arrest of Anne Boleyn and the men with which she was charged with the crime of adultery against the King, I was transfixed. It amazes me that Cromwell was able to do this to the Queen. According to this author, he was able to put forth enough convincing evidence to sway the King and many others to his will. However, I suspect it didn't take all that much arm-twisting as many had their own agendas that benefited from her demise. 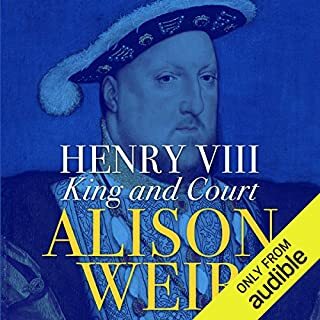 I thought the narration was excellent and all in all I did enjoy this book and learned much about Anne Boleyn that I was not aware of-she was a human being with courage and conviction but also showed a dark side in which she was full of herself and treated others with an unbecoming haughtiness. She also treated poor Mary terribly, which is a large part of why she had so many people willing to believe the worst about her. She realized this in the end and asked for forgiveness, which provides a brief glimpse of the goodness inside her. She also really believed in church reform-right or wrong-another thing that garnered her many enemies. She really was a fascinating character. 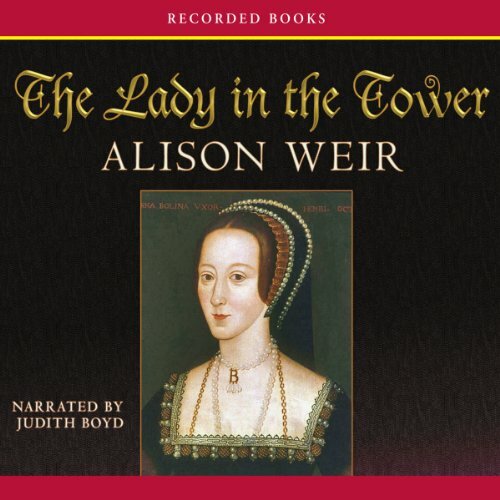 In The Lady in the Tower, Alison Weir presents an exhaustive study of the downfall of Anne Boleyn, Henry VII's second queen. Unlike many books that begin at the beginning and trace the king's courtship of Anne and her strategies of resistance, this one begins when the marriage is already in trouble: Anne had experienced several miscarriages (at least two of the fetuses were identified as male and the last reported to be severely deformed), and Henry, desirous of a male heir, already had his eye on Jane Seymour. Weir details the last four months of her life, from Henry's growing distance to the last miscarriage, from his efforts to have their marriage annulled to her trial, imprisonment, and execution, and even beyond to the various legends of ghostly apparitions. Although obviously biased in favor of Anne's innocence of the adultery/treason charges, Weir presents strong evidence to back up her opinions. If the book has a dominant flaw, it is its repetitiveness. The author returns to the same points again and again, sometimes with additional evidence (and sometimes not), and the effect is still rather tedious at times. (I actually put the book away for a few weeks, unsure if I would return to finish it.) Overall, I did not learn much about Anne or her last days that wasn't already familiar, but I did learn a bit more about the five men alleged to have been her lovers. 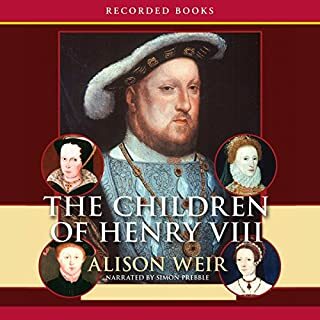 I think that Alison Weir is the definitive historian of the Tudor family and this book again demonstrates her knowledge of the original sources and details of the period. I read a lot of non-fiction works and have been impressed with this author's work time and again. However, in this book (which is marketed almost as a tabloid and I therefore didn't buy it initially), Ms. Weir becomes too invested in her own details. The best example is the narrator's droning of the present-day values of the debts of Anne's "co-conspirators." While the details presented are interesting and the storytelling quite good, there were just too many details such as the estate valuation for this book to be an easy listen. That being said and despite the false advertising and mediocre narration, the book is fascinating and a good purchase for anyone who wants to focus into their studies of the period. This is a thought-provoking and comprehensive book on the last few weeks of Anne Boleyn's life. It persuasively explains her sudden fall from favour and traces the origins of the coup that destroyed her and her family. The actual narration is adequate, and there are some annoying mispronunciations of both English and foreign names which I imagine must have made the author grit her teeth--they certainly made me grit mine. Four stars for the content rather than the delivery. The details are great but repeated over and over. Additionally there is no continuity in timeline meaning the details do not start from point A and end at point Z. Narration was fine and kept the interest alive. I love history. I don't need historical fiction to keep me happy, I just like order and organization I can make sense of. The bit about the ghosts was just unnecessary silliness. 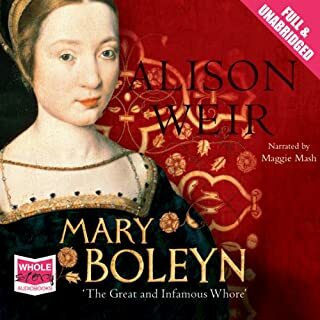 I’m a great fan of Alison Weir - she is my go-to historian for all things Tudor, and her telling of the perfect storm that was Anne Boleyn is a masterpiece. Her extensive research, which includes quotes and theories put forward by her Tudor historian peers, is impeccable. 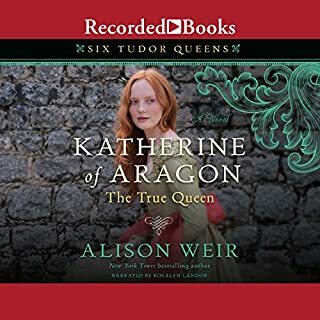 While I know it is impossible to have at hand all the facts about the Tudors - more is being discovered at an amazing rate - Alison Weir always leaves me with the impression that she’s scoured everything she could set eyes on. The Lady in the Tower is a beautifully crafted work that cannot fail to please anyone who takes their Tudor history seriously. Excellent unbiased historical book. I have enjoyed Weir’s books both fiction and nonfiction and this is no exception. She is very thorough in uncovering the truth about Anne Boleyn and gives evidence to the facts when possible. Anyone interested in the Tudor period will enjoy this book as well as any historian of that age.